Description : Schleichera is named after J.C. Schleicher, a Swiss botanist. This genus contains only one species. Oleosa in Latin meaning "rich in oil". 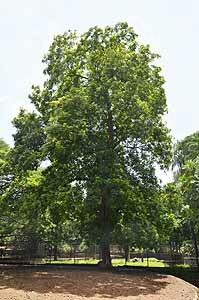 The tree is indigenous to the sub-Himalayan tracts, central India, western Peninsula, Sri Lanka, and Burma.